Extended options over right click has made this a must use tool for all users who are required to handle a reasonable amount of data. "Summarize Values By" on right click gives you the option to summarize data by sum or count or average or to choose from all available options. Earlier, one had to be conversant with the options to actually use it. 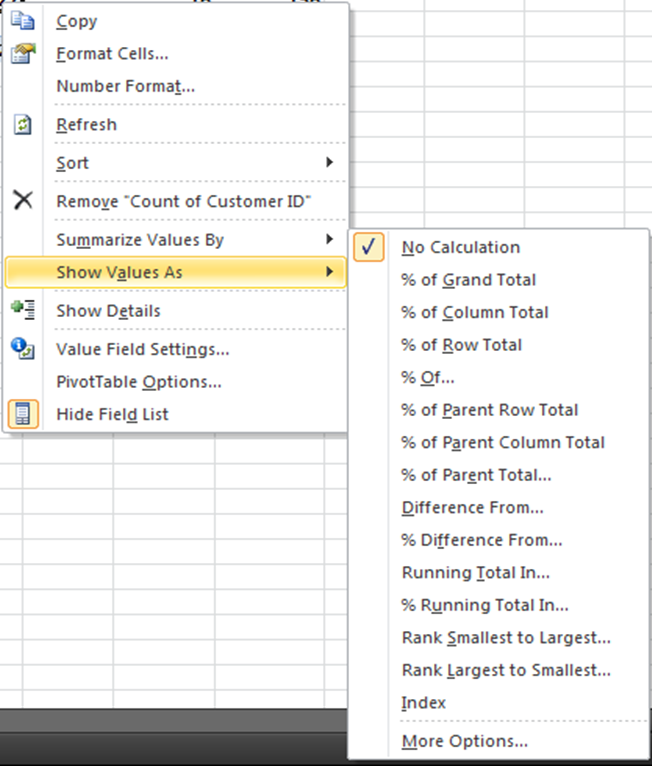 "Show Values As" on right click allows to apply calculations to the data area. Microsoft is making more and more features available for average / less than average users who actually are keen to use the features. Lets all of us make use of this. Note: In case my readers want, I can explore on writing a basic step by step guide on basics of Pivot Table! Need help from you, How to convert a value in lacs or say million with in pivot table. You had told me earlier in STL, But i forgot. 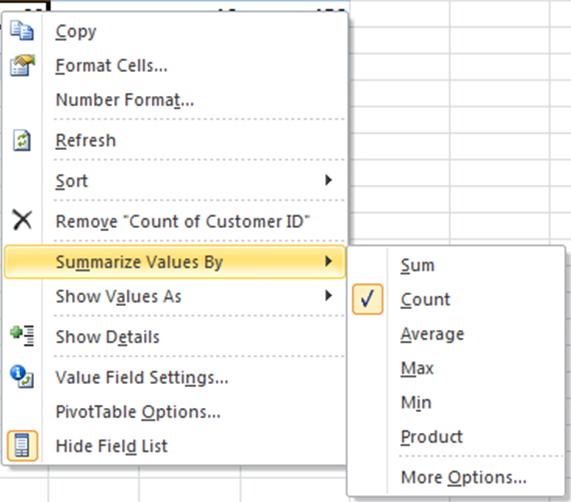 Under the "Pivot Table Options" go to "Fields, Items & Sets" and then go to "Calculated Field". There you can choose the field you want to convert to by applying relevant formula.